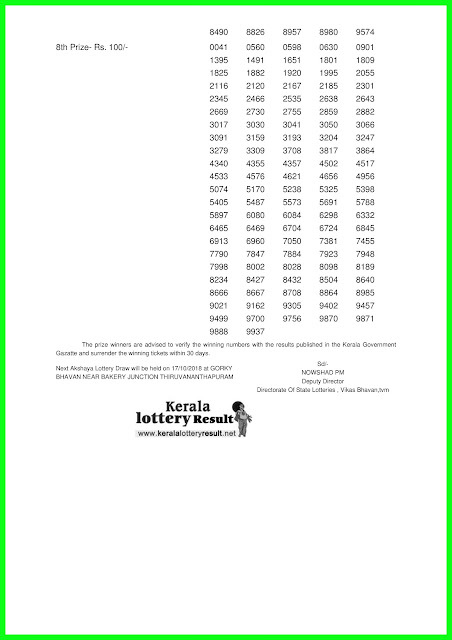 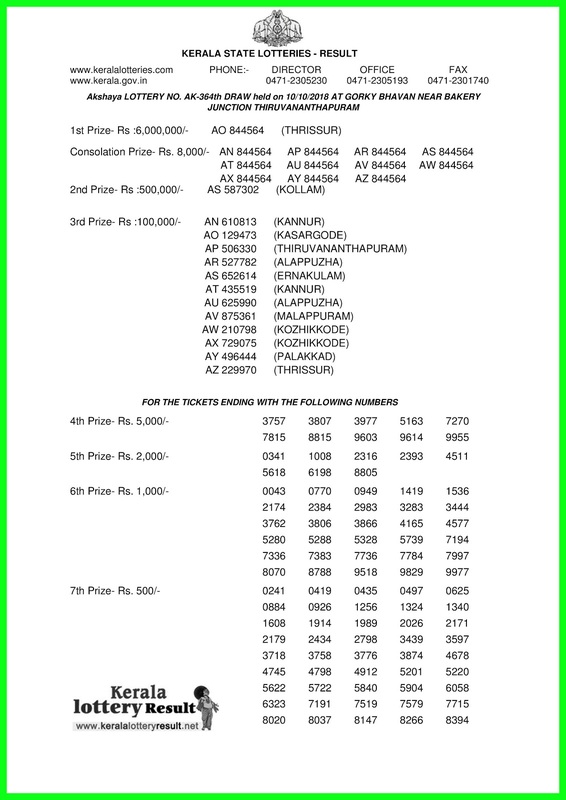 Today lottery result Kerala Lottery Result from keralalotteryresult. 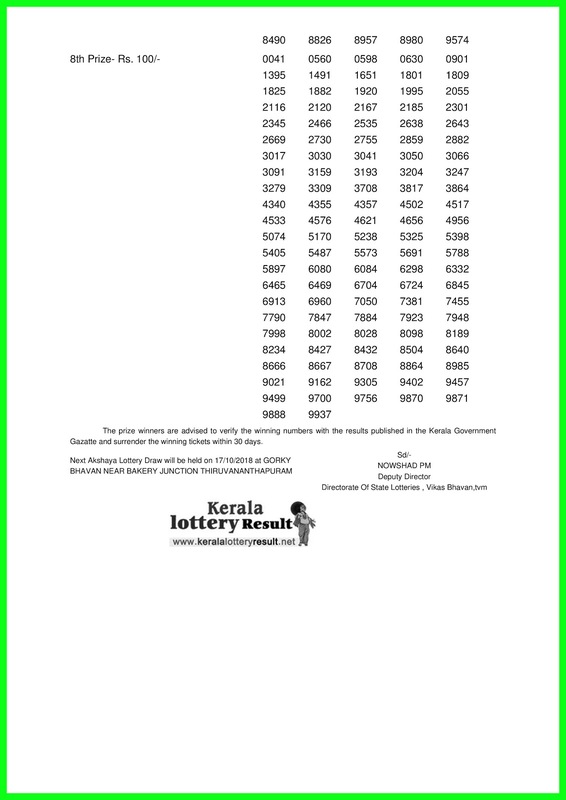 First prize only 60 lakes Today Kerala bhagyakuri result is Akshaya (AK-364) 10-10-2018 weekly lottery draw conducted by Kerala lottery department at Sree Chithra Home Auditorium using Lottery Machine, live results starting at 3.00 pm. 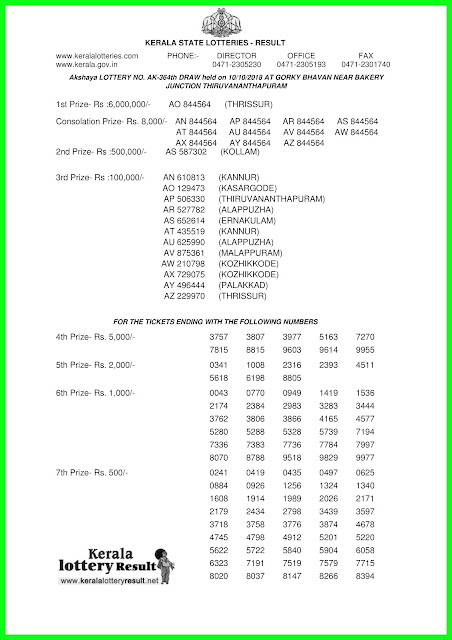 For latest live updates click on the refresh Link. 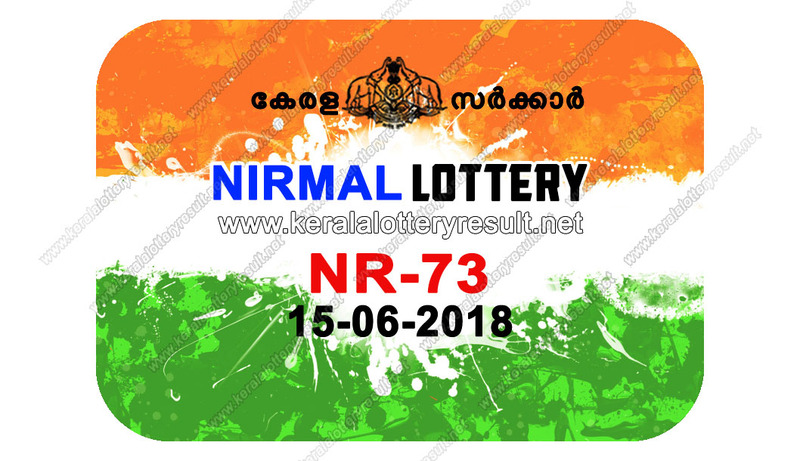 The prize winners are advised to verify the winning numbers with the results published in the Kerala Government Gazette and surrender the winning tickets within 30 days.